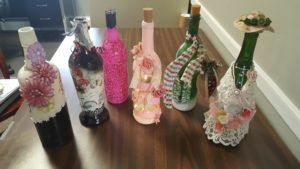 Don't know what to do with your wine bottles? Let Home to You show you how to turn them into beautiful works of art you will be proud to display. Reed Memorial Library, 167 E. Main St.
For Families. Celebrate National Library Week with mystery, magic, and Trixie the rabbit. Registration required.